“My name is Dr Clyde Hughes. 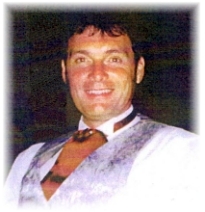 I have been a healer and medium/psychic in Swansea in South Wales for over 30 years. I give healing to people and animals including horses, cats and dogs so your pets are also warmly welcomed. Please visit my Testimonials page to read feedback from my clients, pet owners and people who have attended my healing courses and workshops. NEW BOOK RELEASE – I have published a new book called Angelic Dowsing -The path to divine healing -How to heal people and animals. available to purchase directly from Clyde or amazon . Are You New to Healing? If you are new to all this don’t worry! I can explain more if you come along or please email me with any questions. I’m more than happy to answer any queries! My Treatments page explains more about what is involved when you come along for healing. You don’t have to believe in healing for it to work, you just have to have an open mind and wish to get well. Animals have no religious beliefs but they often get well after treatments. Most animals make a real improvement after treatment and they all seem to really enjoy the process, as do my human clients! It is a real treat to have a healing treatment, even if there’s nothing wrong with you. It’s really relaxing and de-stressing. I have been studying and practising healing for over 30 years and I am a Reiki and Seichim Master (teacher). I am a qualified Theta DNA and Soul Healer (teacher). I have a doctorate in Spiritual and Angel Healing and Spiritual Counselling. I am a qualified hypnotherapist and am ordained as a Minister. 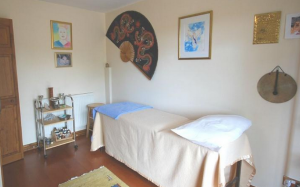 I have set up the Shangrala Healing Centre at my farm near Neath and Swansea in South Wales. 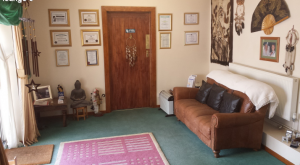 I have a purpose-built waiting room and relaxing private treatment rooms with ample free car parking. Appointments must be booked prior to your visit. > click here for contact details and directions. If you are unable to travel to my Healing Centre, I can work with you at a distance either over the telephone or via email if you send me a photograph. > read more about Distant Healing. If you would like to know more about healing please visit my Treatments page. My healing does not interfere with conventional medicine as it’s natural. Healing can work alongside any other treatment or medication. Why not give it a try? I also work with my Spirit Guides, Angels, Archangels and the Lords of Karma to release personal karma. Please contact me on 01792 791641 if you have any queries.